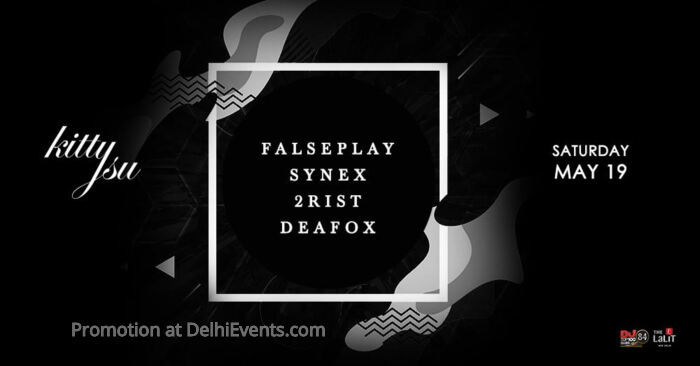 'FalsePlay'​ ​is​ ​a​ ​musical​ ​duo​ ​comprising​ ​of​ ​DJ​ ​Satan &​ ​D'ARK​ ​from​ ​New​ ​Delhi. They​ ​are​ ​one​ ​of​ ​the​ ​most​ ​promising​ ​DJs​ ​in​ ​the​ ​city, quickly​ ​rising​ ​in​ ​the​ ​industry​ ​for​ ​their​ ​distinctive brand/style​ ​of​ ​music.. FalsePlay​ ​is​ ​best​ ​known​ ​for​ ​their​ ​innovative​ ​style​ ​of mixing​ ​their​ ​electronic,​ ​progressive​ ​&​ ​techno​ ​beats and​ ​have​ ​opened​ ​for​ ​'Marc​ ​Vedo'​ ​at​ ​KittySu,​ ​Delhi​ ​as their​ ​very​ ​1st​ ​gig. DJ​ ​Satan​ ​apart​ ​from​ ​being​ ​a​ ​part​ ​of​ ​FalsePlay​ ​also has​ ​been​ ​the​ ​part​ ​of​ ​this​ ​industry​ ​since​ ​the​ ​past​ ​8 years​ ​&​ ​had​ ​played​ ​at​ ​the​ ​most​ ​established​ ​venues in​ ​&​ ​around​ ​the​ ​city.